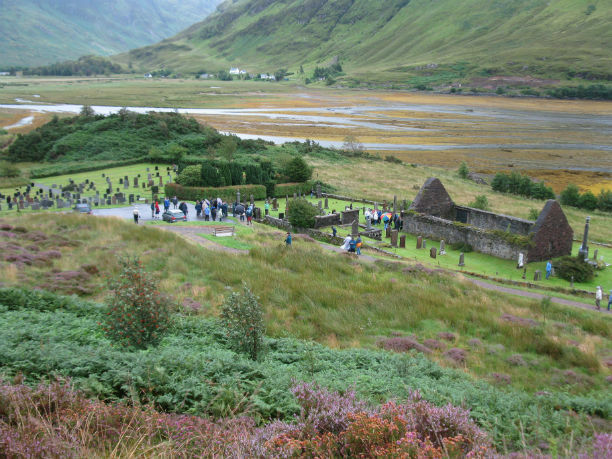 Clachan (klockan) Duich (duhie) is the ancient church and burial ground of the MacRaes of Kintail. Located near the banks of Loch Duich, and a few miles south of Eilean Donan Castle, Clachan Duich has been in existence for at least 1,000 years and probably was in use three centuries earlier. 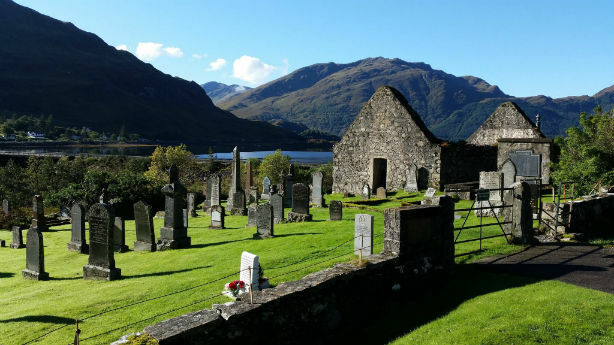 Surrounding the ruins of the old church lie our ancestors in graves marked and unmarked—some of them clan heroes and warriors, some of them simple folk of the Highlands. Overlooking Clachan Duich is the World War I Clan MacRae monument, which was unveiled July 15th, 1922. Several speeches were made that day, including Lieutentant Colonel John McCrae's recitation of his famous poem "In Flander's Fields." 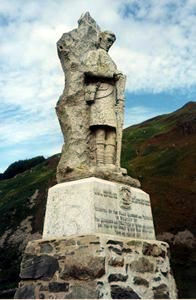 Crafted from granite in Glasgow and erected in 1922 it features a sorrowful soldier with bowed head, standing amidst mountain, sea and glen. It is truly an appropriate addition to the somber mood created by Clachan Duich. Clachan is the Scottish Gaelic word for "stones" and is used throughout Scotland to describe a village built of stones. Duich is name of the nearby Loch and is derived from the Scottish Gaelic term for St.Dubhthaich, or St. Duthac, a venerated religious figure.